Creativity and skill works hand in hand when we talk about web designing – in fact websites are an integral part of any business house. With the need of hour being responsive and parallax website, web designing courses have come up. 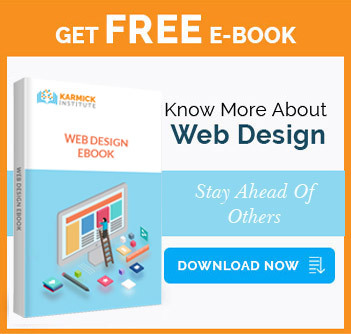 Karmick Institute’s Web Design Course in Kolkata with Live International Projects gives in-depth training in web graphic design; interface design; authoring, including standardized code and proprietary software; user experience design; and search engine optimization. Installation of WordPress and page creation and modification. Bootstrap Slider and Transition effects by Carousel.